Friends of the Drama is an amateur group welcoming all comers to participate in its activities which are publicised in the church and by mailing list. It is the umbrealla organisation for The Hampstead Players who put on 2 major productions in the Church every year. They also arrange poetry and play readings and organise a regular "Literary Hour" on 3rd Wednesday of every month at 1.00 pm. 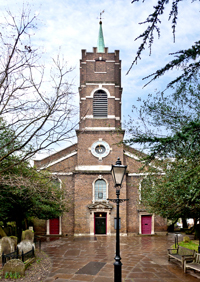 The Friends of the Music and the Hampstead Church Music Trust exist to promote professional musical events and support the music of the church. Outside the umbrella of the church a number of community/support groups and local clubs use the premises for their meetings. It is also a popular venue for children's parties.